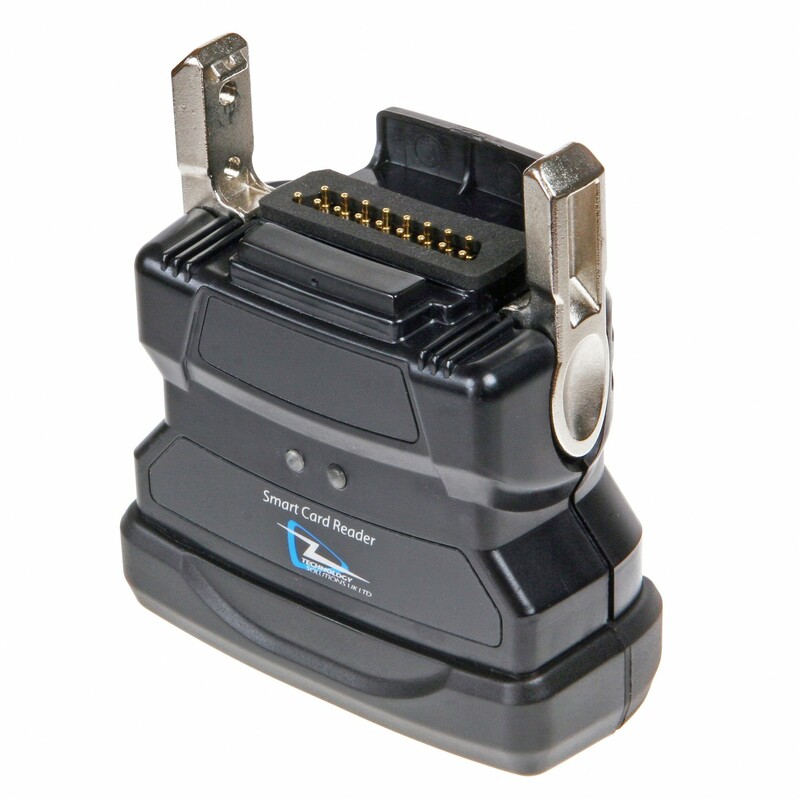 This accessory for the MC91xx and MC90xx series of terminals provides a Smart Card Reader capable of reading Common Access Cards (CAC) as well as Smart Cards compliant with ISO7816-1,2,3,4. 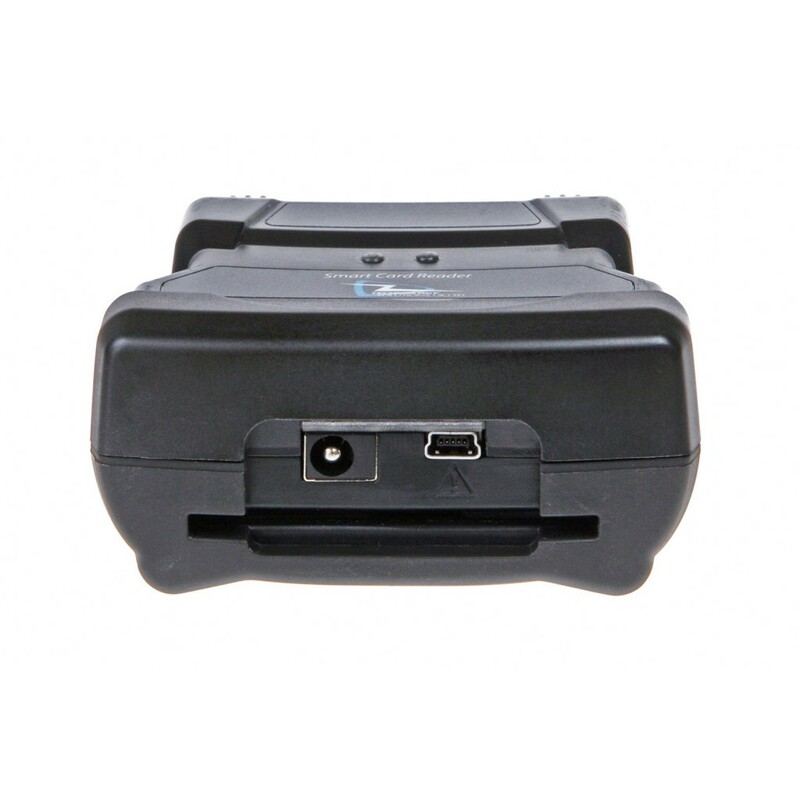 The smartcard reader snaps on to the bottom of the terminal using standard quick release clips allowing operation with the full MC91XX and MC90XX range. 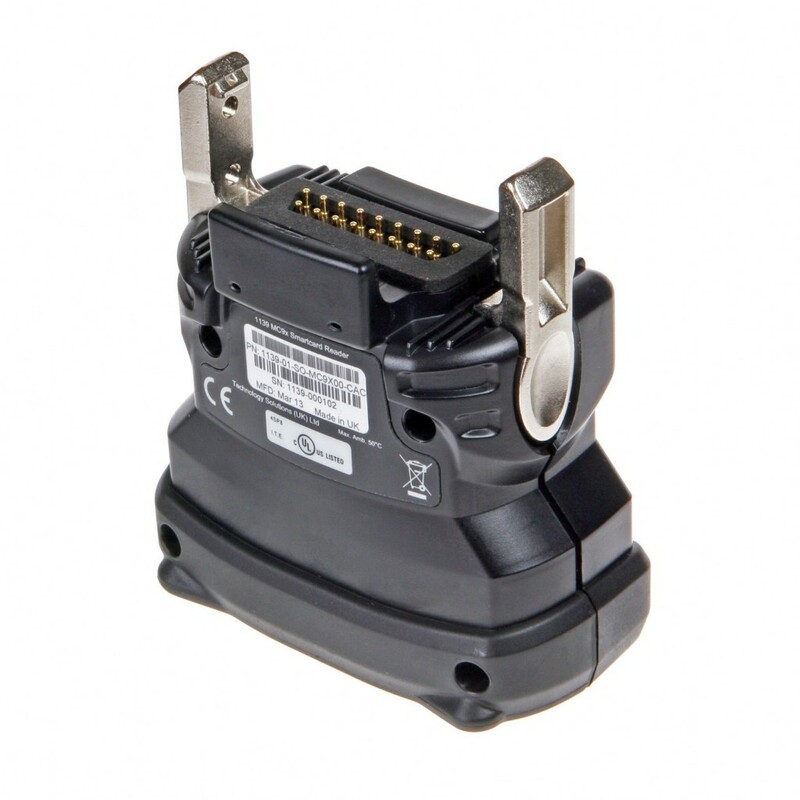 A mini USB port on the bottom of the Smart Card reader provides ActiveSync connectivity whilst the DC input socket can be used with a standard Motorola power supply (Part Number 50-14000-148R, PWRS-14000-148R or PWRS-14000-148C) to charge the terminal. The smart card connector meets the requirements of ISO 7816-2 and is rated for a minimum of 500,000 insertion cycles. It uses landing contacts which touch the card only when it is almost fully inserted to minimize card and contact wear. 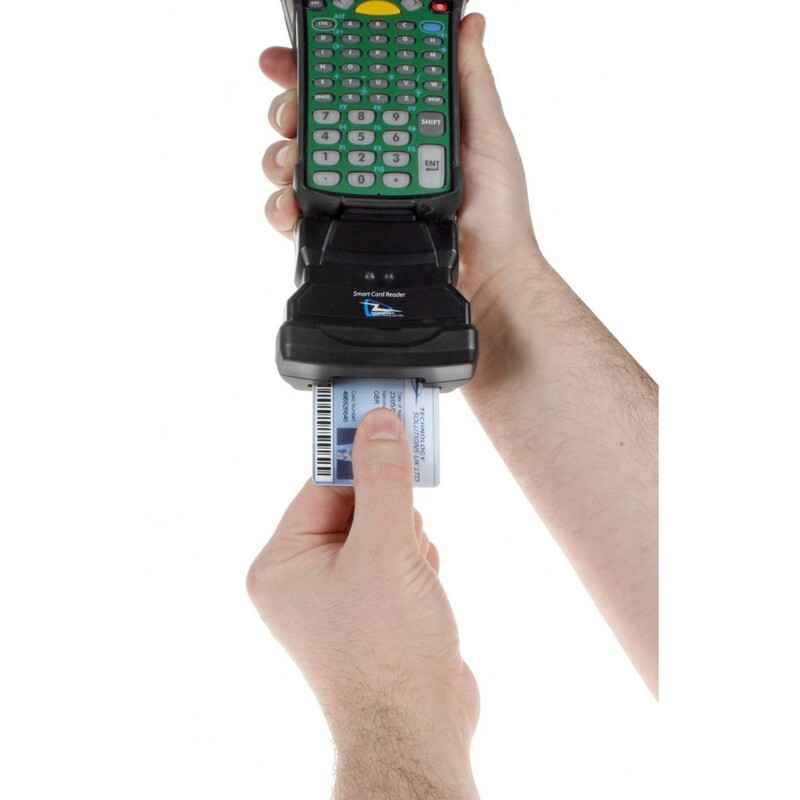 It is suitable for ID-1 format cards as per ISO 7810. Compliance – ISO7816-1,2,3,4 – T=0, T=1 Protocol – 2 wire (SLE 4432/42, S=10), 3 wire (SLE 4418/28, S=9) and I2C (S=8) also supported by reader hardware. User feedback Green LED indicates smartcard reader powered on Orange LED indicates smartcard being read.